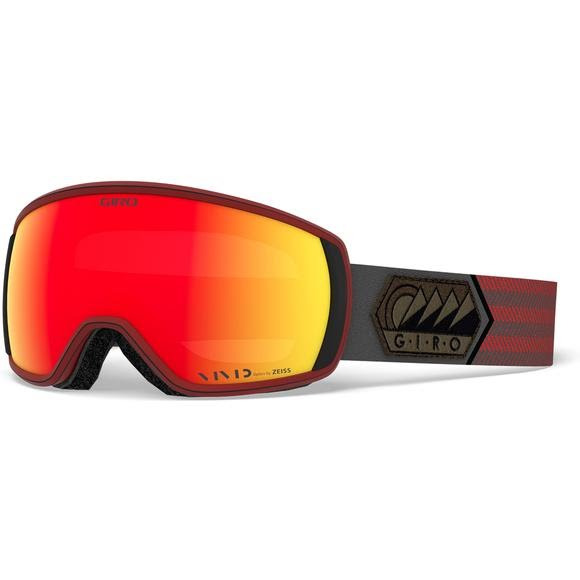 Giro's new Balance goggle delivers on the promise of a classic full frame style packed with modern vision technology. The Balance goggle offers an expanded field of view utilizing EXV Technology, as well as optically correct spherical vision with Lenses By ZEISS. These classy frames offer the perfect balance of style and high-end function in a low-key package. Giro &apos;s new Balance goggle delivers on the promise of a classic full frame style packed with modern vision technology. The Balance goggle offers an expanded field of view utilizing EXV Technology, as well as optically correct spherical vision with Lenses By ZEISS. These classy frames offer the perfect balance of style and high-end function in a low-key package.